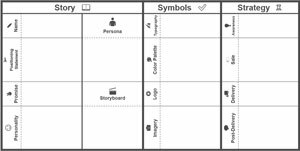 An innovative new approach to the business model canvas. 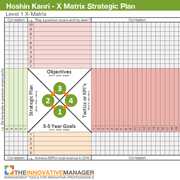 Excel-based Game Theory template that illustrates Hotelling's game of location optimization. 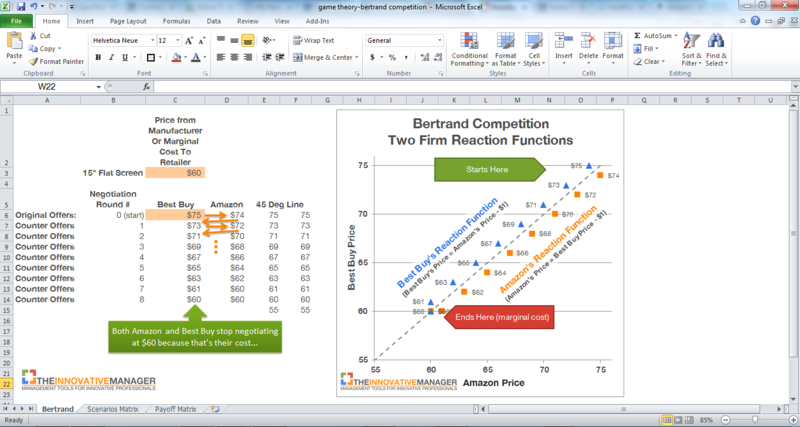 Excel-based Game Theory template that illustrates Bertrand price competition and associated payoffs. 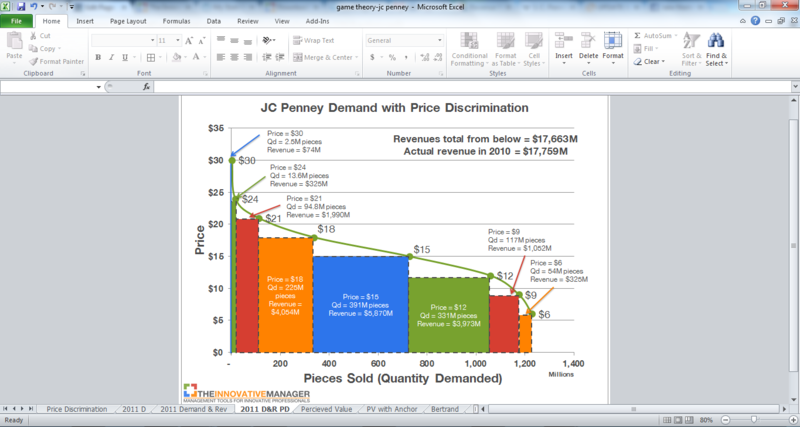 Excel-based Game Theory template to create demand curves, game theory payoff matrices and value analysis. 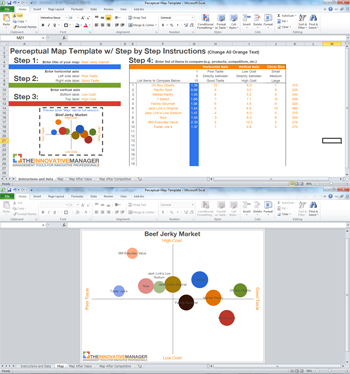 Excel-based Perceptual Map template to analyze the competition, your position in the market and new opportunities for innovation. 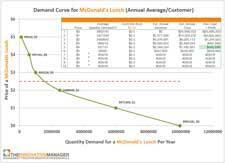 Excel-based demand curve, pricing and profit maximization model with step-by-step instructions on how to apply these tools to your business. 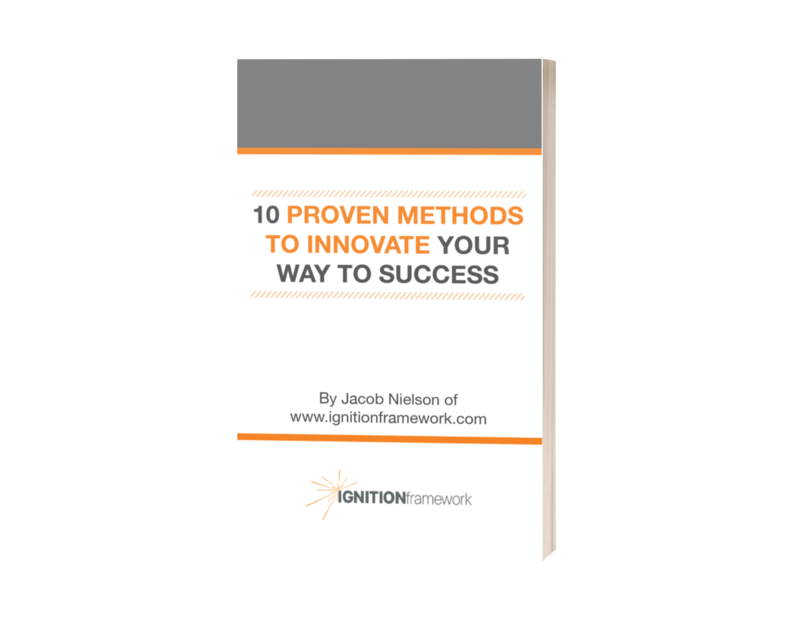 You've created an innovative, game-changing product and now you need to market it. This infographic will give you specific instructions on what to do and how to do it.